August 1, 2018 VoicesLeave a Comment on Open call for volunteers from Poland and Germany for EVS project in Skopje, Republic of Macedonia! Open call for volunteers from Poland and Germany for EVS project in Skopje, Republic of Macedonia! Volunteers Centre Skopje is announcing a call for 2 Polish and 2 German EVS volunteers, for project called VOICES magazine, based in Skopje, Republic of Macedonia. The project duration is 9-12 months (depending on the country of the selected volunteers), starting from October 2018 – August/September 2019. VOICES magazine is online monthly magazine, with four printed editions yearly, issued in three languages – in English and in both official languages of Macedonia: Albanian and Macedonian. Project aims to promote and support active citizenship and active involvement of the young people in the life of their community. Work in the magazine helps both to EVS volunteers and to local volunteers to gain skills that are important for them in order to be a part of civil society: critical thinking, media literacy and argumentation skills. Young people learn to be more active citizens who are monitoring events and processes in the society and know how to involve in and impact solving of different matters. – Planning and evaluation activities. Meetings with the mentor and staff workers of the organization to plan the work and set tasks, to exchange ideas, plans and actualities, as well as to monitor the progress of the project and to reflect on the development and intercultural learning process of the volunteer. – Activities related to the publishing and distribution of the magazine: workshops with professional journalists and cooperation with various media, researching, following events and actualities, meeting and interviewing young people and experts in different fields, taking pictures, editing texts, coordinating translations, making design and publishing on issue, posting texts on blog, distributing magazine, searching for new local volunteers. – Assistance in the current projects of the organization.The volunteers will assist in the office work and activities that are related to their EVS project. This includes updating organization website, helping to organize local and international seminars and exchanges, and participating in the promotional events of the EVS, non-formal education and volunteerism. – Cooperation with local community: involvement in other projects that are organized in cooperation among Volunteers Centre Skopje and our local partners. With aim to encourage and facilitate exchange of experiences and best practices, the volunteer will organize creative workshops in the Daily centre for children from the streets (Roma children), upon the interest and skills of the volunteer. The workshops will be implemented one-two times per week. 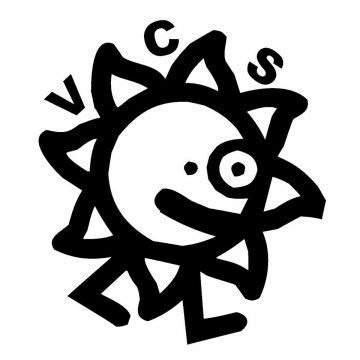 As well, the volunteer will be engaged in organizing and implementing non-formal education workshops in the carrier centers in the high schools in Skopje, where VCS has established cooperation. The workshops will be based on development of soft skills among the students/pupils in the high schools. – Planning and realizing individual project. We have planned more time for individual project, because we have realized that volunteers have very different interests and ideas and that they are mostly interested to develop some of their ideas and to organize more activities for local people. Mentor will help volunteer to realize their own project and to get contacts needed for that. – Learning activities that include language lessons and skills. Volunteers Centre Skopje will provide basic technical skills training that is required for successful performance of the tasks of the volunteers. This might include journalism and design skills, media and cultural production workshops, as well as basic training in writing grant applications and project management under Erasmus + Programme. The volunteers will attend Macedonian language lessons at least two times per week for their entire stay in Macedonia. Previous DRIMON Festival 2018 – Culture Now! Next Welcome to EVS volunteers from Belgium!